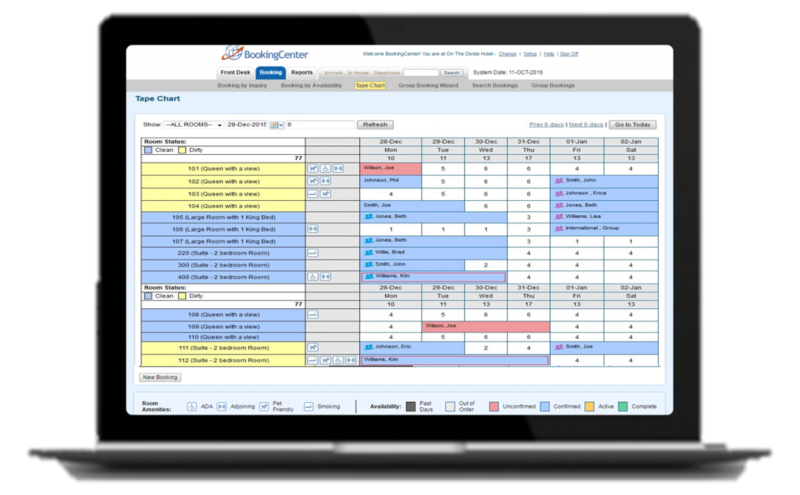 BookingCenter PMS | Cloud-based PMS | Instant Demo-Try it in real-time! Cloud-based PMS | Instant Demo-Try it in real-time! Instant access. Fully functional. No Commitments. See all of the features and functions of MyPMS in real-time with rooms, rates, sources, guest types already setup. Make a booking, add a charge, use the Tape Chart, complete Night Audit and much more. Complete this form, click “Start MyPMS Demo” and you will be instantly logged in to our Demo Hotel. Get unlimited Rooms for $50/month. NO TERM CONTRACTS and NO COMMISSIONS! Learn all about our Money Back Guarantee. Have questions? Contact us!